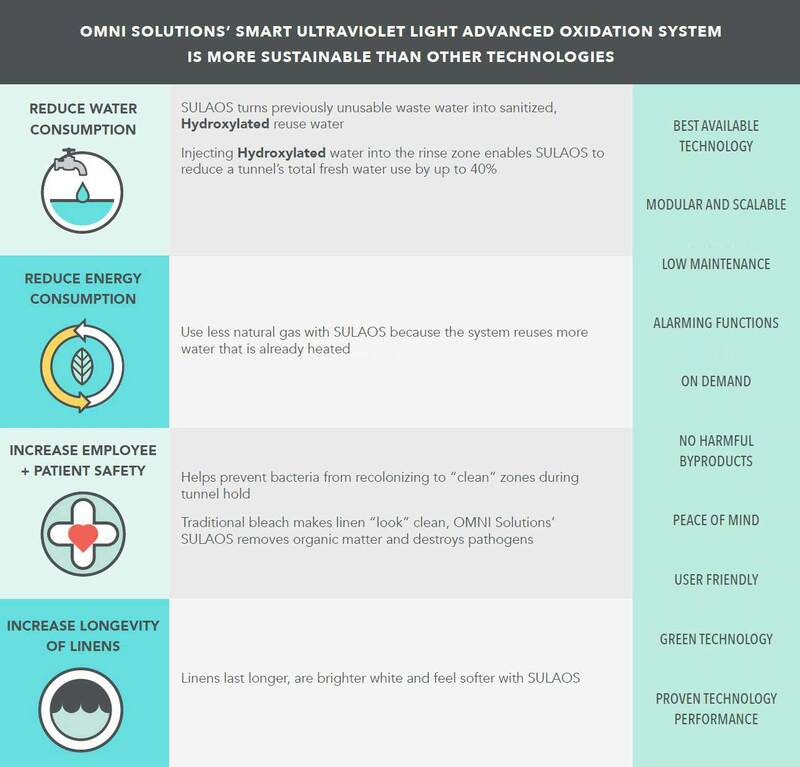 OMNI Solutions' - SULAOS - Smart Ultraviolet Light Advanced Oxidation System dissolves organic materials from water through an enhanced oxidation process for Tunnel washers. 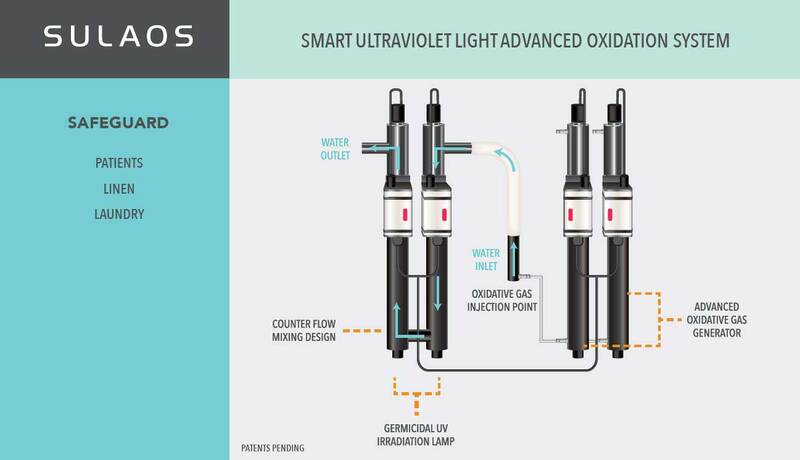 Using a combination of methods involving Ultraviolet (UV) Light, the system produces potent oxidizers, including hydroxyl radicals which react with organic contaminants, destroying them in the treated water. Reducing water and natural gas usage through SULAOS provides significant dollar savings. The results of OMNI Solutions' SULAOS are overwhelmingly positive. 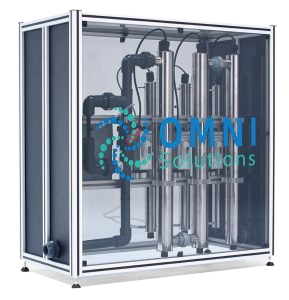 Testing completed by Minnesota Valley Testing Laboratories, Inc.
OMNI Solutions utilizes low voltage UV light to produce Hydroxyl radicals. The Hydroxyl radical is often referred to as the "detergent" of the troposphere because it reacts with many pollutants, decomposing them through "cracking", often acting as the first step to their removal.